Sustainable urban development, social sustainability, urban growth in developing countries, sustainable urban form, urban morphology, self-organised systems and informal settlements, and socio-spatial and cultural dimensions of cities, spatial network theory, society and spatial culture, spatial network analysis, design and place making. 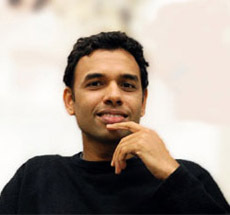 Dr Shibu Raman is a Research Fellow with research experience in sustainable urban development, measuring urban form, urban design, housing and the creation of accessible urban spaces. He has successfully led a British Council (UKIERI initiative) funded research network called CityForm-India which has led to subsequent funding from EPSRC under the same name (EP/H010777/1) and funding from the Indian Government’s Ministry of Urban Development to do a pilot study of rapidly growing cities in India. Dr Raman’s key expertise is in the field of urban form modelling and measuring. He has lectured and consulted internationally in Asia and Europe on behalf of the University and other international organisations. Dempsey, N. and Raman, S. (2009) UK-India collaborative research network examines sustainable urban form in India’s rapidly growing cities, Urban Design and Planning, 162(2): 49-51. Mitchell, L., Burton, E. and Raman, S. (2004) Dementia-friendly cities: designing intelligible neighbourhoods for life. Journal of Urban Design, 9(1): 89-101. Mitchell, L., Burton, E. and Raman, S., Blackman, T., Jenks, M. and Williams, K. (2003) Making the outside world dementia-friendly: design issues and considerations. Environment and Planning B: Planning and Design, 30: 605-632. Blackman, T., Mitchell, L., Burton, E., Jenks, M., Parsons, M., Raman, S. and Williams, K. (2003) The accessibility of public spaces for people with dementia: a new priority for the ‘open city’. Disability and Society, 18(3): 357-371. Mitchell, L., Burton, E., Jenks, M., Blackman, T and Raman, S. (2000) Designing an urban environment accessible to older people with dementia Generations Review 10(4): 20. Dempsey, N., Brown, C., Raman, S., Porta, S., Jenks, M., Jones, C. and Bramley, G. (2009) Elements of urban form, in: M. Jenks and C. Jones (eds.) Dimensions of the Sustainable City, Springer. Raman, S. (2009) City for All: liveable, sustainable city. Keynote speech at International Congress & Forum on Urban Sustainability organised by UN Habitat in Qazvin, 2-4 Dec 2009. Raman, S and Dempsey, N (2008) Sustainable Urban Form: finding from the UK, Ist Cityform-India Conference, India Habitat Centre, New Delhi, India 10-11th Aug 2008. Raman, S. (2008) Spatial and demographic typology of UK’s inner city and suburban housing area, The UK-Ireland Planning Conference 2008, Queens University, Belfast, 18-20 March 2008. Raman, S. (2003) Communities and spatial culture in a communally diverse city: Ahmedabad, India, in Conference Proceedings of 4th International Space Syntax Symposium, UCL, London. Mitchell, L., Burton, E., Raman, S. (2002) Finding the way: creating sustainable urban environments for older people with dementia The Fifth Symposium of the International Urban Planning and Environment Association: Creating Sustainable Urban Environments Oxford. Nicola has worked in academia/ research and has carried out a number of projects for the public and voluntary/ community sectors. Her broad research interest focuses on socially sustainable urban landscapes, and more specifically, developing an understanding of quality in the landscape: how the physical and perceived environment influences the everyday lives of residents in different urban contexts. EU-funded MP4 project, which focuses on 'place-keeping’, the long-term management of public and private open spaces. A number of smaller projects looking at public spaces, their form and the impact on users in sites around the country including East London, Sheffield, Wakefield and Leeds. Raman, S. and Dempsey, N., in press, Cultural Diversity and Spatial Structure in the Indian urban context, Journal of Urban Design. Dempsey, N. and Burton, M., in press, Defining place-keeping: the long-term management of public spaces, Urban Forestry and Urban Greening. Lindholst, A.C., Dempsey, N. and Burton, M., in press, Introducing a method for mapping recreational experience, Urban Design and Planning. Nicola guest edited the “Compact City Revisited” issue of Built Environment journal, 36(1), 2010. Dempsey N, 2010, "Revisiting the Compact City" Built Environment 36 5-8. Dempsey N, Jenks M, 2010, "The Future of the Compact City" Built Environment 36 116-121. Bramley G, Dempsey N, Power S, Brown C, Watkins D, 2009, "Social Sustainability and Urban Form: evidence from British cities" Environment and Planning A 41 2125-2142. Dempsey N, Raman S, 2009, "UK-India collaborative research network examines sustainable urban form in India’s rapidly growing cities" Urban Design and Planning 162 49-51. Dempsey N, Bramley G, Power S, Brown C, 2009, "The Social Dimension of Sustainable Development: Defining Urban Social Sustainability" Sustainable Development DOI: 10.1002/sd.417. Dempsey N, 2009, "Are good-quality environments socially cohesive? Measuring quality and cohesion in urban neighbourhoods" Town Planning Review 80 315-345. Dempsey N, in press, "Neighbourhood Design: green space and parks", in The International Encyclopedia of Housing and Home Eds S J Smith, M Elsinga, L Fox-O’Mahony, S E Ong, S Wachter (Elsevier, Oxford). Dempsey N, in press, "Neighbourhood Design: urban outdoor experience", in The International Encyclopedia of Housing and Home Eds S J Smith, M Elsinga, L Fox-O’Mahony, S E Ong, S Wachter (Elsevier, Oxford). Dempsey N, Brown C, Raman S, Porta S, Jenks M, Jones C, Bramley G, 2010, "Elements of Urban Form", in Dimensions of the Sustainable City Eds M Jenks, C Jones (Springer, London) pp 21-51. Jenks M, Dempsey N, (eds.) 2005 Future Forms and Design for Sustainable Cities (Architectural Press, Oxford). Dempsey N, Burton M, 2010, "Management, place-keeping and funding of open spaces", Place Matters! MP4 Making Places Profitable European conference, University of HafenCity, Hamburg, 9-10th December. Dempsey N, Burton M, 2010, "‘Place-keeping’ in the cultural landscape: the role of long-term maintenance and management", European Council of Landscape Architecture Schools (ECLAS) conference: Cultural Landscape Istanbul, Turkey, 29th September-1st October. Dempsey, N, Burton, E and Mitchell, L, 2009, ‘How does residential outdoor space contribute to older people’s wellbeing?’, 47th International Making Cities Livable Conference – True Urbanism: Cities for Health & Well-Being, Portland, Oregon, USA, 10th-13th May. Dempsey, N, 2009, Does the quality of public space matter if it is not being used?, Unequal Places: Planning and Territorial Cohesion, UK-Ireland Planning Research Conference 2009, Newcastle University, 1st-3rd April. Dempsey, N and Raman, S, 2009, Socially sustainable urban form in India’s cities: wellbeing and rapid urban growth, Unequal Places: Planning and Territorial Cohesion, UK-Ireland Planning Research Conference 2009, Newcastle University, 1st-3rd April. Expertise relates to the compact city and sustainable urban form, and in particular research into the relationships between environmental, social and economic sustainability in an urban context. Professor Emeritus, School of Architecture at Oxford Brookes University. 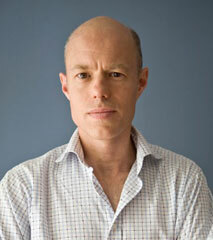 He is also the Founder Director of the Oxford Institute for Sustainable Development (OISD). He is the Founder of City Form: the Sustainable Urban form Consortium, funded by the Engineering and Physical Sciences Research Council (EPSRC). He is in considerable demand worldwide, most recently advising various bodies in Japan, Taiwan and Thailand. His research has been funded by organisations such as the EU, the UK Research Councils (EPSRC), and various central government departments, the Building Research Establishment, Leverhulme Trust Fund and Housing Research Foundation. Dempsey, N. and Jenks, M. (2010) ‘The Future of the Compact City’. In Built Environment, 36(1), pp. 116-121. Jenks, M and Dempsey, N. (2007) ‘Defining the Neighbourhood: challenges for empirical research’. In Town Planning Review, 78(2), pp.153-177. Jenks, M. (2003) 'Above and Below the Line: Globalisation and Urban Form in Bangkok'. In Annals of Regional Science, 37(3), pp 547-557. Jenks, M. (2013) Can Sustainable Cities be Secure Cities? Proceedings of the 6th Ajman International Urban Planning Conference, ‘City and Security’, UAE, pp.182-193. Jenks, M. and Jones, C. A. (eds) (2010) Dimensions of the Sustainable City, Springer, Netherlands. Jenks, M., Kozak, D. and Takkanon, P. (eds) (2008) World Cities and Urban Form: Fragmented, Polycentric, Sustainable?, Routledge, Oxford. Jenks, M. and Dempsey, N. (eds) (2005) Future Forms and Design for Sustainable Cities, Architectural Press, Oxford. Jenks, M. and Burgess, R. (eds) (2000) Compact Cities: Sustainable Urban Forms for Developing Countries, E&FN Spon, London. Williams, K, Burton, E. and Jenks, M. (eds) (2000) Achieving Sustainable Urban Form, E&FN Spon, London. Jenks, M., Burton, E. and Williams, K. (1996) The Compact City: A Sustainable Urban Form?, E&FN Spon, London. Can Sustainable Cities be Secure Cities? Keynote, 6th Ajman International Urban Planning Conference, ‘City and Security’, UAE, (March 2013). Designing the Waterfront :a kilometre inland? 4th Ajman International Urban Planning Conference, Ajman, UAE, (March 2010). The Compact and Sustainable City: Avoiding the Day after Tomorrow, Chulalongkorn University, Bangkok, Thailand (February 2010). CityForm: Researching Complex Urban Environment, Kasetsart University, Bangkok, Thailand, (January 2010). The Sustainable City: Myth or Reality?, The Paul Smales Lecture, Royal Cornwall Polytechnic Society, Falmouth, Cornwall, (October 2009). The Compact and Sustainable City, British Council specially organised conferences in New Delhi and Mumbai, (August 2008). Sustainable Approaches for the Compact City, GEST2007, National Assembly, Seoul, Korea (November 2007). From the Compact City to the ‘Defragmented’ City: another route towards sustainable urban form? Eco-urbanity: Towards the well-mannered built environment, Centre for Sustainable Urban Regeneration (cSUR), University of Tokyo, Japan (September, 2007). World Cities and Urban Form: fragmented or polycentric and sustainable?, 7th Symposium of the International Urban Planning and Environment Association (UPE) on ‘World Class Cities: Environmental Impacts, Planning Opportunities?’, Chulabhorn Research Institute, Bangkok, Thailand (January, 2007). Sustainable Urban Design: an absence of evidence? (2006), ‘The longest error in the world’, International Seminar, Milan Polytechnic, Milan. Design of the built environment (architecture, urban design) and its impact on health and wellbeing. Design for older people, including dementia-friendly design. Development of objective measures of the built environment. Social aspects of sustainable communities/urban form. 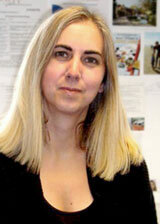 Elizabeth is Professor of Sustainable Building Design and Wellbeing at the University of Warwick. Her post is a new one (September 2009) set up jointly by the School of Health and Social Studies and the School of Engineering. 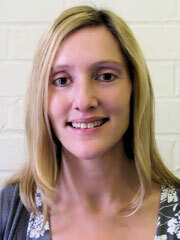 She is also founder director of the WISE (Wellbeing in Sustainable Environments) research unit. Having qualified as an architect and urban designer, Elizabeth took up a research career, with the aim of developing an evidence base for architectural practice. Her research interests are in the social aspects of sustainability and how the built environment (architecture and urban design/form) influences people’s health and wellbeing and quality of life. She has particular expertise in ageing research, including dementia-friendly design. Burton, E. and Sheehan, B. (2010) Care home environments and wellbeing: identifying the design features that most affect older residents. Journal of Architectural and Planning Research, 27(3): 237-256. Burton, E. and Torrington, J. (2007) Designing environments suitable for older people. CME Geriatric Medicine, 9(2): 39-45. Sheehan, B., Burton, E. and Mitchell, L. (2006) Outdoor wayfinding in dementia. Dementia: The International Journal of Social Research and Practice, 5(2): 271-281. Mitchell, L. and Burton, E. (2006) Neighbourhoods for life: designing dementia-friendly outdoor environments. Quality in Ageing – Policy, Practice and Research, Special Edition: the EQUAL Initiative, 7(1): 26-33. Burton, E. and Mitchell, M. (2006) Inclusive Urban Design: Streets for Life, Architectural Press, Oxford. Burton, E. (2010) From art to empiricism: building an evidence base for people-centred architecture. Guest lecture for the Martin Centre seminar series, University of Cambridge, Feb 2010, and for the Edinburgh School of Architecture and Landscape Architecture, 28 April. Burton, E. (2010) Ageing and the built environment: making an impact through research. Paper presented at an EPSRC KT-EQUAL workshop, From Ageing Research into Policy, 8 June, London. Burton, E. (2010) Designing for wellbeing in the built environment. Paper presented at The Science of Age-Supportive Built Environments, Canadian Institute of Aging Study Visit to the UK, 8-12 March, London. Burton, E. (2010) Making HAPPI happen. Presentation for Making HAPPI Happen: the Design and Delivery of Better Housing for the Third Age, panel discussion public event organised by PTE Architects, Levitt Bernstein Associates and Design for Homes, London, 26 May. Burton, E. (2010) Designing housing and neighbourhoods for older people. Paper presented at an ILC-UK debate on The Impact of Localism on the Homes and Communities of Older People, London, 29 November. Urbanisation and urban development, specifically city vision and development strategy, urban renewal / regeneration, master planning & design guidance, design review / critique, facilitation & negotiation. Guy Briggs is a consultant architect and urban planner now based in Cape Town, having spent the last 12 years in London, UK. He is specialised in urban regeneration, development strategy, and master planning. Previously urban design director at international consultancy EDAW, and co-Chair of the Bristol Urban Design Forum (leading design review and its Strategic Urban Design Advisory Group), Guy is currently an Academician of the Academy of Urbanism, and Fellow of the Royal Society of Arts. Guy has published several articles and papers, and lectured in the UK, USA and South Africa. Projects include: Saadiyat Island Master Plan, Abu Dhabi; Lower Lea Valley Regeneration Strategy; and London's Skyline, Views & Tall Buildings (strategic policy framework). Guy's work is driven by a strong belief in the need for a socially responsive approach to urbanism, in which places are shaped by and for the people that will use and inhabit them. Briggs, G (2008) Design codes as a collaborative tool, Placemaking, RUDI. Saadiyat Island, Presentation to RIBA World Cities Annual Dinner, 2008. The Olympics and Regeneration, presentation to St Petersburg Guild of Developers, July 2006. The Intelligent City: Ubiquitous Network or Humane Environment? Published in Future Forms and Design For Sustainable Cities (Mike Jenks and Nicola Dempsey, eds), 2005. Is Intelligence a Measure of Success for Global Cities? Delivered with Dr Frank Duffy (DEGW) at the 1st International Symposium of the Counselors of Real Estate, Global Cities in an Era of Change, Harvard, Cambridge, USA, September 2002. Airport Cities or City Airport: Airport Development in a Networked Economy, with Professor John Worthington (DEGW), July 2002. The Future of High Rise in London, with Lora Nicolaou (DEGW) for Annual CIBSE Conference, June 2002. University of West of England. Urban Design, urban planning, sustainable urban development, compact cities, brownfield development, climate change and sustainable behaviour. 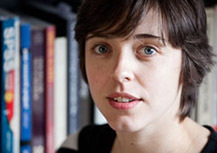 Professor Williams is an urban theorist, planner and urban designer. She is Director of the Centre for Sustainable Planning and Environments (SPE) at the University of the West of England, Bristol. She has undertaken evidence-based critiques of many key urban policies such as sustainable communities and the urban renaissance. Professor Williams has over £4 million in research grants from UK research councils, government agencies and industry, and has undertaken consultancy work for central and local governments, and regional and national development agencies. She is currently undertaking EPSRC-funded research on adapting UK suburbs for climate change as part of the ‘Living with Environmental Change’ Programme. Professor Williams has held visiting lectureships in the USA, Thailand, Peru, and The Netherlands. She has authored over 100 academic papers and reports and edited 3 books on sustainable urbanism. Williams K (2010) Sustainable cities: research and practice challenges, International Journal of Urban Sustainable Development, 1(1). pp.183-215. Williams K, Joynt, J and Hopkins D (2010) Adapting to climate change in the compact city: the suburban challenge, Built Environment, 36(1), pp.105-115. Lindsay M, Williams K and Dair C (2010) Is there room for privacy in the compact city? Built Environment, 36(1), pp.28-47. Williams K (2009) Space per person in the UK: a review of densities, trends, experiences and optimum levels, Land Use Policy, 26, pp83-92. Williams K and Lindsay M (2007) The Extent and Nature of Sustainable Building in England: An Analysis of Progress, Planning Theory and Practice, 8(1) pp 31-51. Williams K, Dair C and Lindsay M (2009) Neighbourhood Design and Sustainable Lifestyles, in Jones C and Jenks M (eds) Dimensions of the Sustainable City, pp.183-215, Springer. Williams K (Ed) (2005) Spatial Planning, Urban Form and Sustainable Transport, Ashgate Publishing Ltd, London. Burton E, Williams K and Jenks M (2000) Urban intensification and social sustainability: the importance of social capacity, in Sustaining Human Settlement: A Challenge for the New Millennium (ed. R. Lawrence), Urban International Press, North Shields. Jenks M, Williams K and Burton E (2000) Urban Consolidation and the Benefits of Intensification, in Compact Cities and Sustainable Urban Development: A Critical Assessment of Policies and Plans from an International Perspective, eds G. De Roo and D. Miller, Ashgate, Aldershot. Williams K, Burton E and Jenks M (2000) Achieving Sustainable Urban Form, Routledge, London. Jenks M, Burton E and Williams K (1996) The Compact City: A Sustainable Urban Form? E&FN Spon, London. (now published in Chinese and Japanese). Williams K (2010) Prosperous Communities? SWO Conference: Health, Wealth and Happiness: what makes a prosperous Region? Bristol, March. Williams K (2010) Is Brownfield policy in England contributing to sustainable development? LUMASEC Conference, Bristol, Feb.
Williams K (2010) Adapting the UK’s suburbs, ARCC Partners Conference, London. Susilo Y, Williams K, Lindsay M and Dair, C (2010) Sustainable Urban Design and Residents’ Environmental Beliefs: Green Travel Patterns? University’s Transport Studies Group, Plymouth (and TRB, Washington, Jan 2010). Williams K (2009) Is brownfield policy in England contributing to sustainable development? LUMASEC, Land Use Management for Sustainable European Cities, Bristol. Susilo, Y, Williams K, Lindsay, M and Dair, C (2009) Does green in mean green out? An exploration of individual travel patterns and the influences of their environmental preferences in the UK , CTS Winter Conference, Bristol. Williams, K, Lindsay M and Dair C (2009) Is 'Sustainable' neighbourhood Design encouraging sustainable lifestyles? Results on residents' behaviours from a study of 13 'sustainable' developments in the UK, presented at The UK-Ireland Planning Research Conference: Unequal Places: planning and territorial cohesion, 1-3 April, 2009, Univ of Newcastle. Lindsay M, Williams K and Dair, C (2009) 'The impact of sustainable design principles on social interaction in new housing developments' presented at The UK-Ireland Planning Research Conference: Unequal Places: planning and territorial cohesion, 1-3 April, 2009, Univ of Newcastle. Professor Emeritus at CEPT University, Ahmedabad. I am a Professor Emeritus at CEPT University, Ahmedabad and teach urban management, housing and development planning. I have been associated with CEPT since 1977, when I joined as Assistant Professor. I was then the Director of School of Planning from 1985-92 and was the Director of the National Institute of Urban Affairs, New Delhi, India, during 1992-97. I have worked with United Nations, at UN-HABITAT, Nairobi as head of the Urban Management Programme. My Ph.D. is from University of Pennsylvania, Philadelphia, USA, and my Masters is in City and Regional Planning from Harvard University, Cambridge, USA. I gained my Bachelor of Technology in Civil Engineering, IIT, Madras, India. Financing water and sanitation at local level, (jointly with Meera Mehta) (mimeo), Wateraid, 2007. Our Common Past: the contribution of the Urban Management Programme, Habitat Debate Vol 11 (4) December 2005. Partnerships for Better Municipal Management, Asian Cities in the 21st Century, Asian Development Bank Institute, Tokyo, 2000 (jointly edited with Naved Hamid and Mildred Villareal). “Financing of Urban Services in India: A case for appropriate pricing and cost recovery”, Habitat International, Vol. 22, No. 4, pp. 487-502, 1998. “Participatory Urban Environmental Management: A case of Ahmedabad, India”, Woodrow Wilson Center series on “ Urbanization, Environment and Security”, Washington, 1998. Metropolitan Housing Market: A case of Ahmedabad, Sage, New Delhi, 1987. Urban Development and Planning in sub-sectors of urban governance and capacity building. Satmohini is a geographer-planner with specialisation in regional planning. She has over 11 years of experience in urban management, governance and capacity building in India and abroad. Currently she works as Senior Research Fellow at National Institute of Urban Affairs. Satmohini was a part of the Indo-USAID Financial Institutions Reforms and Expansion (FIRE-D) project that focused on capacity building of local, state and central government agencies towards improved urban governance and poverty reduction. Presently, she is coordinating the Sustainable Urban Form for Indian Cities research project jointly being undertaken with Oxford Brookes University, UK. Satmohini is also working on the Peer Experience and Reflective Learning (PEARL) Network set up under Jawaharlal Nehru National Urban Renewal Mission that looks to establish an effective network of JNNURM cities. She also has experience in training networks and she coordinated and implemented numerous international training courses for senior Indian decision makers across Australia, Southeast Asia and Europe. Contributed to Developing Sustainable and Inclusive Urban Infrastructure Services - A Guidebook for Project Implementers and Policy Makers in India, Indo-USAID FIRE-D and Ministry of Urban Development, January 2011. Ray Satmohini Isha Srivastava and Chetan Vaidya, ‘Planning for Sustainable Urban Form for Indian Cities’ Urban India Journal, July-December Issue (to be published). Book Review on Future Forms and Design for Sustainable Cities and Book Notes for the First issue of Environment and Urbanization- Asia Edition, March, 2010. Book Review on Building Cities: Neighbourhood Upgrading And Urban Quality of Life and Book Notes for Environment and Urbanization- Asia Edition, Second Issue, September 2010. Book Review on “Planning Sustainable Cities: Global Report on Human Settlements 2009” for Urban India Journal, Volume 31, January-June 2011. Book Notes published in the third issue of Environment and Urbanization- Asia Edition, March, 2011. Peer reviewed an article on GIS Application in Urban Heat Island: A crusading Anthropogenic Driver to Climate Change for Urban India, Volume 30, January- June 2010. Paper on Sustainable Urban Form For Indian Cities for the National Conference on Sustainable Urban & Transportation Planning: Issues & Management Strategies, held from July 08 to 10, 2011, organised by Sardar Vallabhbhai National Institute of Technology, Surat. Selection to the Urban Habitats Forum Fellows Programme September 2009. An initiative of Indian Habitat Centre and Mirabilis Advisory. Local services distribution and finance; local government finance, grants and local taxation. Poverty and local services, e.g. schools and educational attainment; local environments in poor neighbourhoods; local income and wealth distributions. Glen Bramley is Professor of Urban Studies based in the School of the Built Environment at Heriot-Watt University in Edinburgh, where he directs the Institute for Housing, Urban and Real Estate Research. He gained a BSc in Economics & Economic History at Bristol in 1970 and undertook postgraduate work in urban & regional studies at Sussex. From 1976 to 1994 he taught and researched in the School for Advanced Urban Studies at Bristol, before moving to Edinburgh in 1994. Recent research has focused particularly on planning for new housing, modelling the impact of planning on the housing market, housing need and affordability, low cost home ownership, poverty, deprivation and the funding and outcomes local services. Recent and current research has been funded by Research Councils (ESRC, EPSRC), Foundations (Joseph Rowntree), Government (Scottish Government, DCLG) and other public bodies. 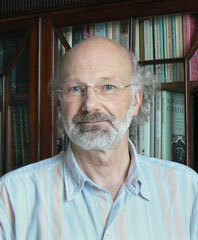 His publications include Key Issues in Housing (Palgrave 2005), Planning, the Market and Private Housebuilding (UCL Press 1995), Equalization Grants and Local Expenditure Needs (Avebury 1990) Analysing Social Policy (Blackwell 1986), as well as numerous articles in journals such as Urban Studies, Housing Studies, Environment and Planning, Regional Studies, Policy & Politics. 2000 with M. Evans 'Getting the smaller picture: small-area analysis of public expenditure incidence and deprivation in three English cities', Fiscal Studies, 21:2, 231-67. 2000 with S. Lancaster & D. Gordon 'Benefit takeup and the geography of poverty in Scotland', Regional Studies, 34:6, 507-519. 2007 ‘The sudden rediscovery of housing supply as a key policy issue’, Housing Studies. Bramley, G., Brown, C., Dempsey, N., Power, S. & Watkins, D. (2009)‘Urban form and social sustainability: evidence from British cities’, Environment & Planning A, 41:5, 2125-42. 1995 (with W Bartlett and C Lambert) Planning, the Market and Private Housebuilding. London: UCL Press. 2004 (with M Munro & H Pawson) Key Issues in Housing: Markets and Policies in 21st Century Britain. Palgrave MacMillan. I am an architect-planner with specialisation in urban planning and housing design and I have been a member of CEPT since 1991, having been instrumental in getting the university status for the institute. Over the past 24 years I have worked with other academics on a variety of research and consultancy projects for various state and central governments in India, NGOs and international funding bodies. I have been a member of a number of national committees such as the Task Force on Affordable Housing for All, constituted by Government of India. I have lectured and taught at various universities around the world on the subjects of land use and transportation planning, urban form determinants, housing design and planning law and legislation. I have around 20 years experience in teaching and research in transportation engineering and planning. My research interests encompass the analysis and modelling of travel demand and the measurement and evaluation of accessibility. I led the University of Strathclyde’s contribution to the CityForm consortium which was funded by EPSRC to investigate the relationship between urban form and sustainability. I am currently co-investigator to an MRC-funded project which is examining links between access to sports facilities, physical activity and health and an associate investigator to the EPSRC-funded iConnect project. I am also working with Sustainable Opportunity Solutions Ltd to develop business travel planning information. I am currently a Professor Emeritus at CEPT University and an international consultant. I have 30 years of experience in water, urban development and infrastructure finance. I joined CEPT in 1979 and was the Director of School for Planning before joining the USAID’s FIRE Project in India (1994-1999) and later the World Bank in India and its Water and Sanitation Program in Africa (2000-2006). I have also consulted for a large number of international agencies (including ADB, DFID, UNICEF, USAID and Government of Netherlands), national and local governments, leading NGOs (Gates Foundation, WaterAid and HIC) and several infrastructure and housing financial institutions. I have a doctoral degree in economics. Research interests encompass real estate economics, urban economics, policy and sustainability, and economics of housing policy. In particular he has undertaken research into commercial, industrial and housing markets with a focus on urban markets and regeneration. 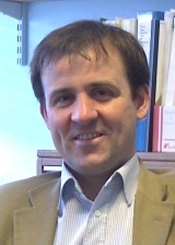 Colin Jones has been Professor of Estate Management at Heriot-Watt University since 1998. He formerly worked at the Universities of Manchester, Glasgow and the West of Scotland.